Located a mere nine miles outside the city of Akita in the Akia Prefecture of Japan, Akita airport (IATA: AXT) has one runway made from an asphalt and concrete mix, at just over 8,000ft in length. 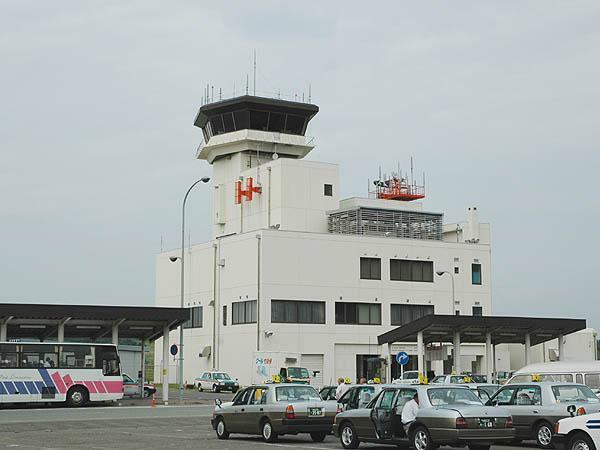 While in Japan it is classed as a second class airport behind the main international hubs, it is still an important airport to the local area, especially due to its proximity to the city and regional oil mining operations. The city which gives the airport its name is the capital city of Akita Prefecture, found in the Tohoku region of Honshu, which is the largest of Japan’s islands. Thanks to a recent 2005 merger with the towns of Kawabe and Yūwa from the former Kawabe District, the city now has a population of around 325,000. While the modern city was only established in 1889, Akita has actually been an important location in the Tohoku region dating back medieval times. Nowadays, visitors fly into Akita for many different reasons, and they have a huge choice of destinations to fly out of the airport to as well. All Nippon Airways flies to Tokyo-Haneda, Korean Air fly to Seoul-Incheon, ANA operate services to Nagoya-Centrair and Osaka-Itami, while Japan Airlines fly to Osaka-Itami, Sapporo-Chitose and Tokyo-Haneda. Seasonally, flights to Taipei-Taoyaun are operated by EVA Air and TransAsia airways. Facilities in the area are generally good, as is public transport, however many visitors opt to compare Akita airport car hire before they arrive in order to get the best prices. Car rental has many advantages in the local region, making it much quicker to get around, which is why there are so many rental agencies now offering their services out of Akita airport. For more flight information, visit the official Akita airport site here.